Widely acclaimed for its impeccable precision, performance and longer service life, the Tube Coiling Machine made available by us is widely acclaimed and asked for. Its making is done in accordance with the set industry norms and guidelines, utilizing the finest raw materials and modern machines. Owing to this, the product has its standard of quality highly maintained. We, "B & C Systems", established our operations in the year 2014, as one of the glorious manufacturers and suppliers of a gigantic assemblage of Autoclaves & Stripping Machine. 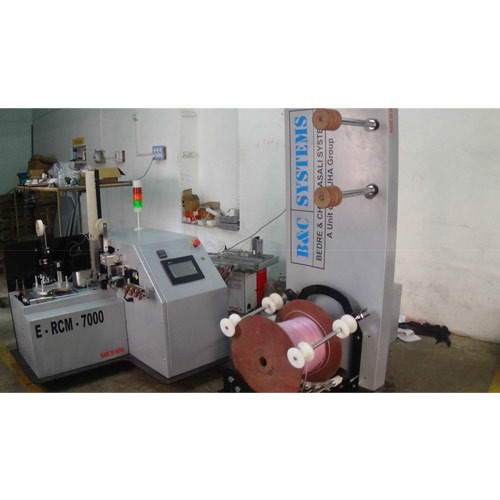 Our offered products are Wire Harnessing, Stripping Machine and Tube Coiling Machine. Our product compilation is precisely designed under the strict supervision of our experienced and knowledgeable team members. From the very beginning, we have been focused to proffer supreme quality range in the market and to make sure of the same, we procure premium quality raw materials from our reliable & dependable vendors, who are linked with us from a long time. Furthermore, at our end, it is made sure that the predefined industry standards are followed throughout the operations. New in the business, we are backed by a state-of-the-art infrastructure facility that is set up with latest technology based machinery and tools. In addition, we have hired a team of experienced and qualified professionals, who work hard to accomplish all the diversified requirements of our esteemed customers. Within no time, we have marked our presence in the business and wish to continue with the same, in future too. Our company engages in ethical business deals only.